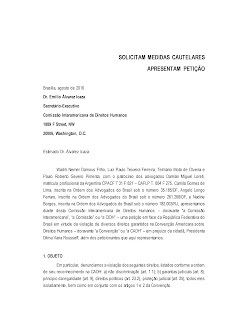 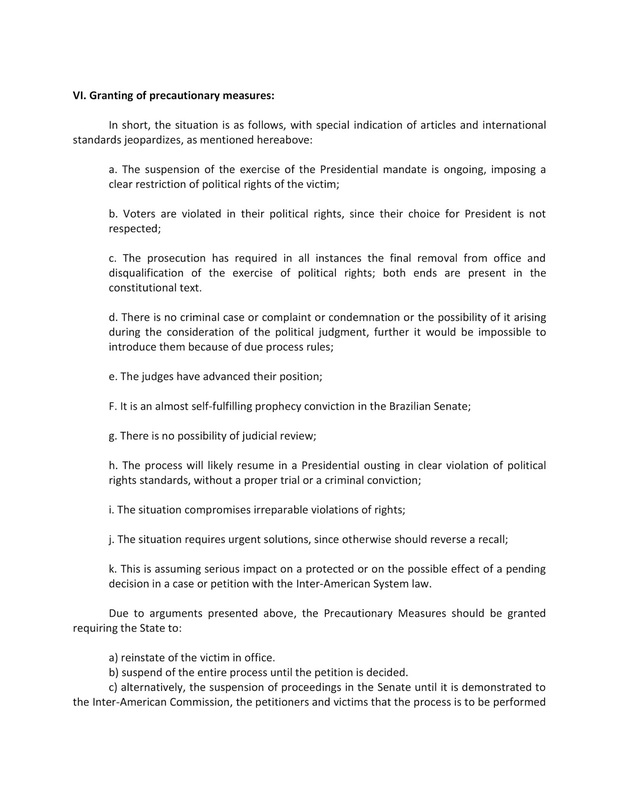 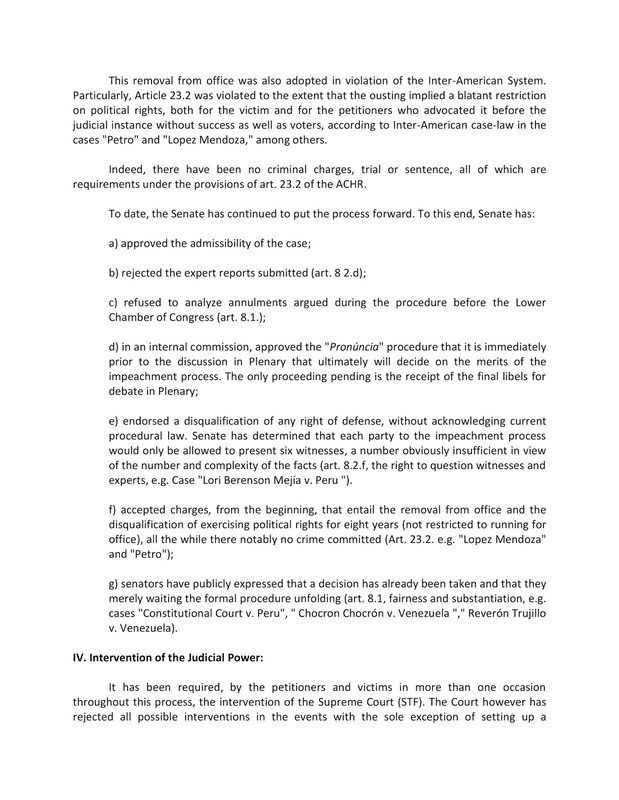 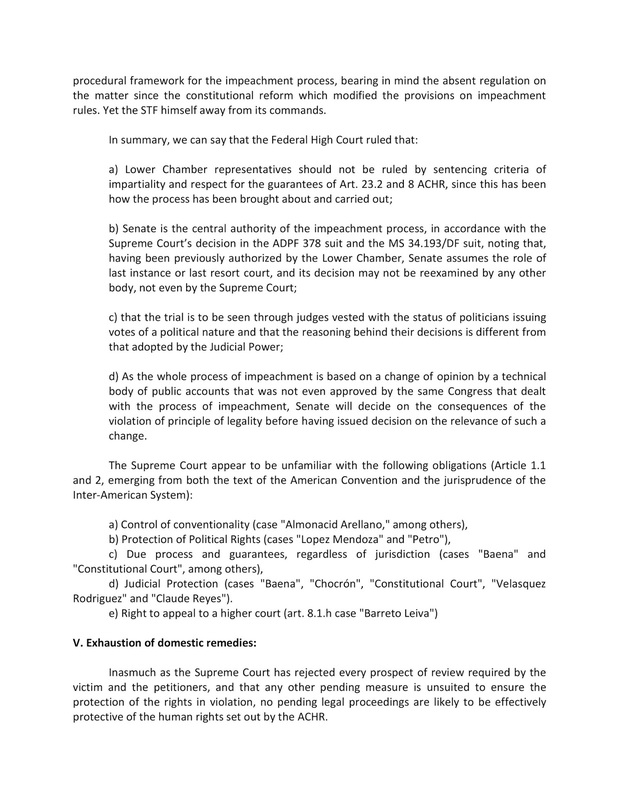 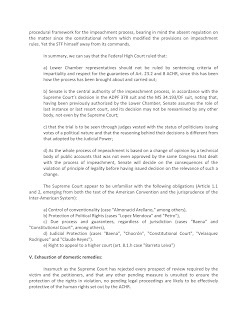 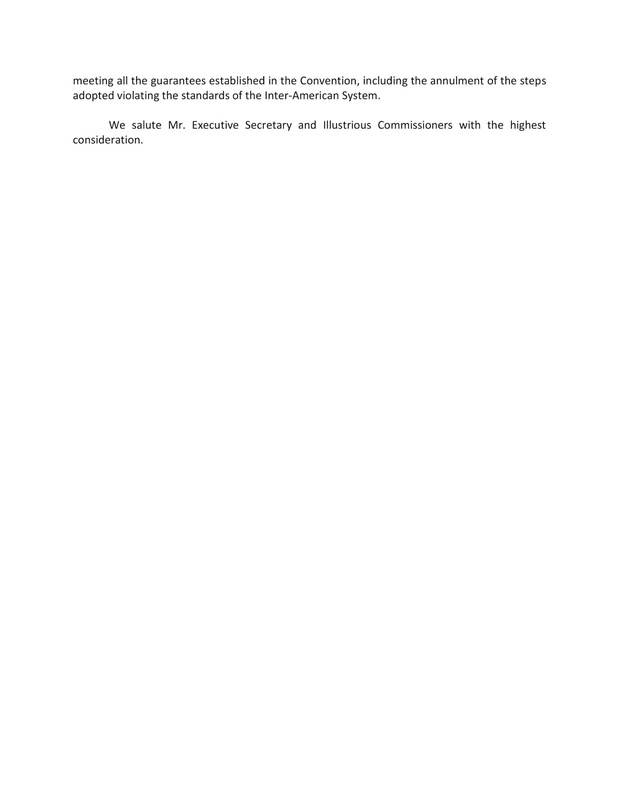 SOCIETOCRATIC POLITICAL REGIME: Executive Summary of Petition and Request for Precautionary Measures on behalf of the Brazilian President Ms. Dilma Vana Rousseff. 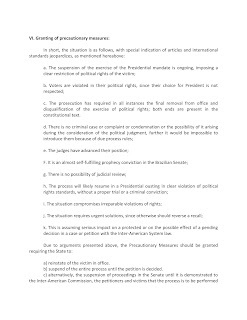 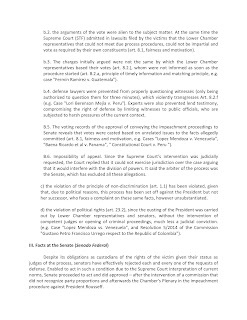 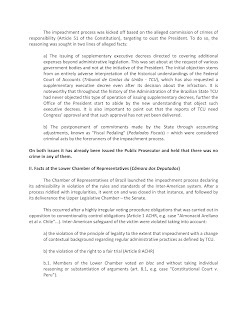 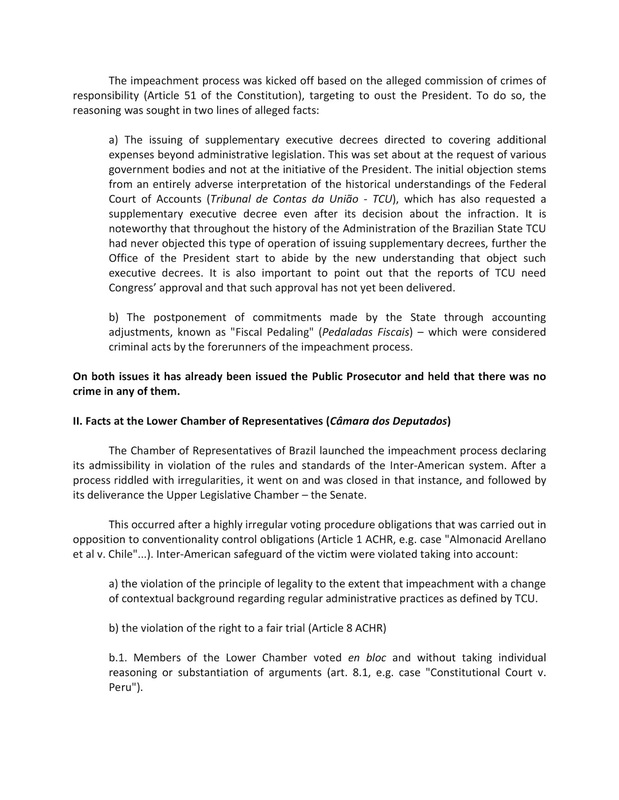 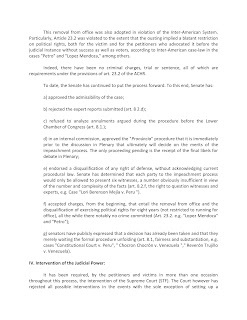 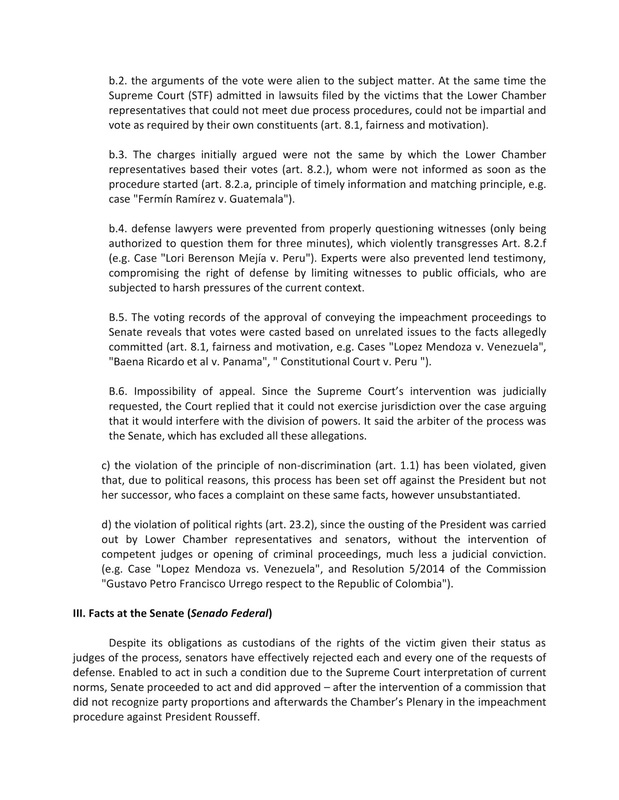 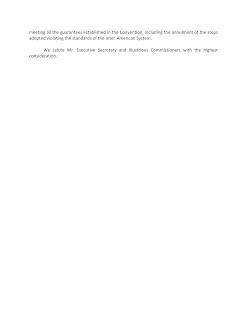 Executive Summary of Petition and Request for Precautionary Measures on behalf of the Brazilian President Ms. Dilma Vana Rousseff. 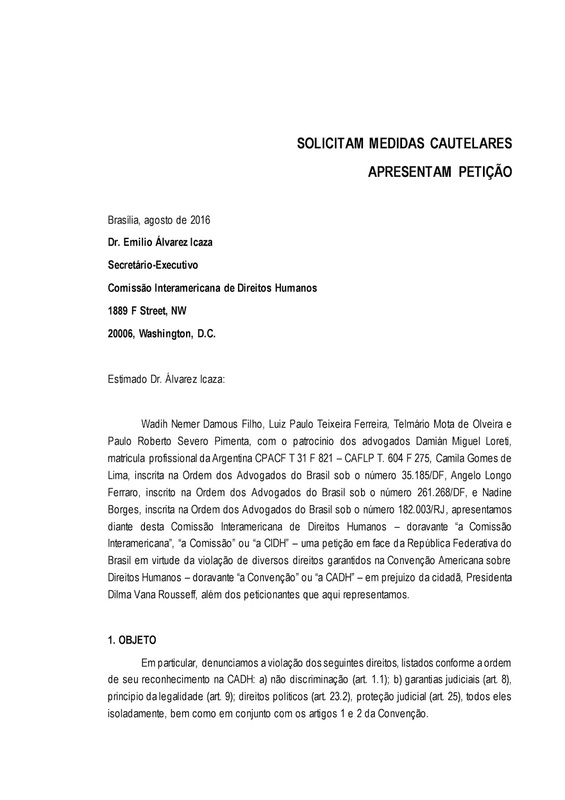 BRAVOS BRASILEIROS SOLICITAM MEDIDAS CAUTELARES À OEA - EM PREJUÍZO DA CIDADÃ PRESIDENTA DILMA VANA ROUSSEFF.